Kevin Pietersen has enjoyed a love-hate relationship with England cricket ever since he made his international debut in 2005. He had a fair share of controversy off the field, but proved a match-winner with his batting over the years. The South African-born batsman was a last-minute inclusion in the Test squad for the India tour after being controversially axed earlier this year following the SMS fiasco during the series against South Africa in July. But after a reintegration process, and a couple of important knocks in the ongoing series, he's proved why he is such an important cog in the English team. On a difficult track in Mumbai in the second Test, he blasted a quickfire 186 to turn things around after England lost the first Test by nine wickets. On Thursday, in the fourth Test at the VCA stadium in Nagpur, Pietersen came to England's rescue again with a resolute knock of 73, on a wicket he described as one of the toughest he's ever played on. England struggled to 199 for 5 in 97 overs on a slow wicket as the Indians resorted to defensive field-placings throughout the opening day. 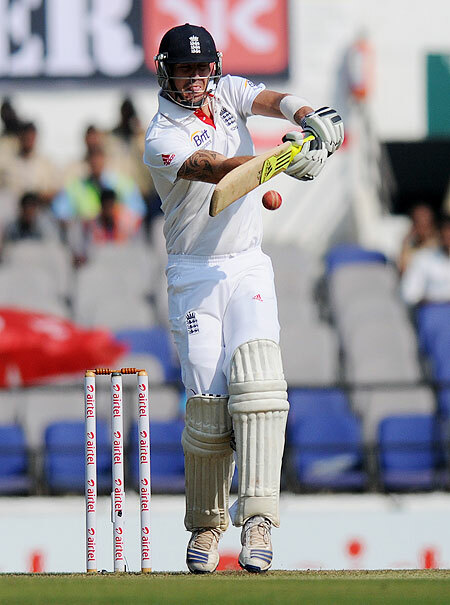 "It is toughest wicket I have played Test cricket on in terms of scoring runs. I don't have a clue what the pitch will do later; its playing pretty similar to what it did at the start of the day," he said at close of play on Day 1. India all-rounder Ravindra Jadeja had also admitted that the wicket was slow and not offering help to either the fast bowlers or spinners. Pietersen sounded confused when asked about the nature of pitch and said England, who are 2-1 up in the four-match series, adopted a safe strategy of looking to bat as long as possible. "I don't know what that pitch will do later, but, goodness, it's slow. I think the key today was to try to bat as long as possible, because I don't think that wicket is getting any better," he said. Having spent nearly three-and-a-half hours in the middle, Pietersen observed that India may have erred in their decision of playing just one seamer and having four spinners. 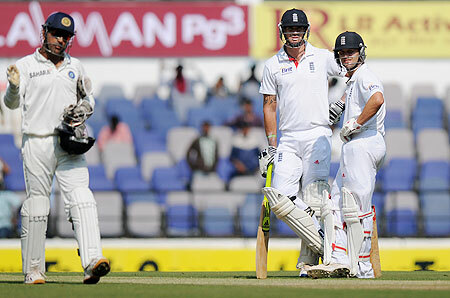 "I think we are in a position of strength, if I am allowed to say that, as we have two seamers. Ishant, I found incredibility difficult to play today," the right-hander said. 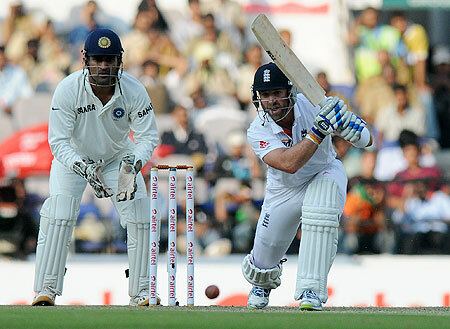 The former England captain also called upon his team to rise to the challenge of playing on this difficult track. "If you look at it that way, it's an incredible challenge for the lads to see what we can make out of this. When you are the tourists, obviously, Indians think that is the kind of wicket they have to prepare to take the series back. We have had incredible challenges in the last two-three years as a team and this is another one." He also hinted that such kind of matches, when the batting scores at just over two runs per over in the entire day, will put off viewers. "As for viewers, I don't think they will have any interest in what I have to say, as they must have switched off 4-5 hours ago!"